This post was originally published on Patreon in October 2016. Patreon is a crowdfunding platform I use which lets supporters like you pledge any amount you choose--from $1 to $20 or more--per month to support my work, and in exchange you gain access to my patron only online feed of exclusive posts, interviews, newsletters, behind the scenes updates, and more. Most of the posts I write for patrons will remain exclusive to Patreon, but sometimes, many months later, one of those posts will make its way here. I hope you enjoy this one, and I also hope that if you appreciate my work you'll consider becoming a supporter! 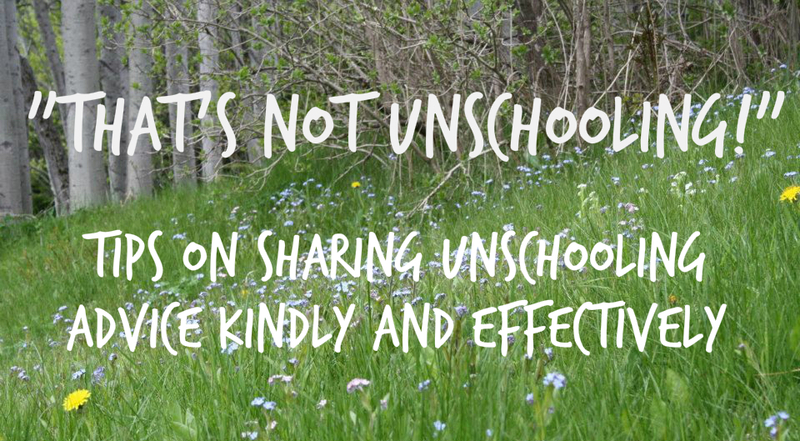 Something I see sometimes that makes me scratch my head: "We use a curriculum that's really unschooling friendly!" ...Which seems to be missing the point more than a little. If a child chooses to do a curriculum of their own free will (as in, there wasn't strong parental pressure to do it) that IS still unschooling. But if the adults involved have chosen a curriculum and are forcing their children to in any way adhere to it--even if it's a “relaxed” curriculum, even if it allows children to choose from a list of pre-determined activities--that's still, well, schooling. 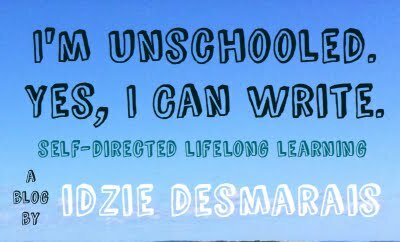 For those of us who are further along on that journey, whether by a little bit or a lot, I find myself often wondering--even after many years now interacting with new unschoolers myself--how to gently point out what isn’t unschooling, and suggest a change of direction to those who are looking to embrace life learning. It’s a continuous process of learning to do better, and I think I will always be working on being clearer and kinder in my communication, but there are some things I try to keep in mind. Note that I’m talking specifically about people who WANT to unschool, who are interested in learning more, and just don’t have a very accurate grasp of just what unschooling is yet. I am not talking about people who stubbornly insist they want to call their homeschool unschooling even when it’s anything but, and have no interest in moving further in a self-directed direction. Talk about your own breakthrough moments and successes. That time you realized your child had started reading without you ever trying to teach them to do so; how much more happy things became--and how much more learning you observed--when you ditched your curriculum; how focusing on relationships instead of “education” lead to a wonderful family project… Whatever it was that made unschooling “click” for you might help someone else in their own breakthroughs, all while keeping it focused on things that work for you, instead of telling the person in question what they’re doing wrong. I think there will always be times when we find ourselves frustrated with misunderstandings of how unschooling works and what it even is, but for those who want the benefits of a truly life learning educational experience, we’re in a wonderful position to share our own experiences and help all the new folks find their own unschooling groove, in a way that’s both kind and effective.